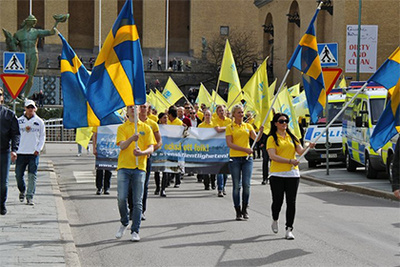 On September 9, the Swedish people are heading for a very critical election day with polls standing for general, regional and municipal elections and while last elections were among other issues – economy to name one - also about the Swedish Democrats, this time it will be all about the Sweden Democrats. Don’t let the name deceive you, Sweden Democrats have little faith and connection to democracy as democracy in understood and their name comes after a long tradition of pompous misleading names the far-right excels. Sweden Democrats is a national populist political party in Sweden that was founded in 1988. The party entered for the first time the Swedish parliament in 2010 earning 5.7 percent of the vote in the general elections with a representation of 20 MPS. In the 2014 national elections, the SD reached 12.9 percent becoming the third biggest party in Sweden and doubling it representation in the parliament reached 42 MPs in a parliament of 349, with first the Social Democrats with 113 MPs and the Moderates second with 83 MPs. In front of a xenophobic, far-right party that could change balances and create constitutional problems all the parties agreed to exclude SD from any agreement or coalition and in the end gave a vote of confidence to under the leadership of the social-democrats coalition minority government with Stefan Löfven as the Prime Minister. Four years later, a lot of anti-immigration talking and fear spreading the SD seems to have increased its power even further to the point latest surveys showing the party climbing to 18-20% and its leader Jimmie Åkesson confidently declaring that on the 10th of September, the Sweden Democrats will from a government. A fearful prospect since while the SD uses the anti-immigration feeling as the carrier the Sweden Democrats are not just about immigration. As the True/Pure Finns have proved the last few years while in the government and their attitude towards unions, free press, welfare state, the poor or culture, far right is not just about the Syrian refugees are much-much, nothing of it good. For the 2018 general elections in Sweden and despite the big number of parties participating, the Swedish voters have two choices, to vote for the Sweden Democrats or against them. Period. That while all the democratic parties are obliged to keep the front they created to stop the far-right immovable and unattached. Just think what will happen to a multicultural nation where 14% of the population – even though carrying Swedish passports - has born abroad when a xenophobic, openly Islamophobic and closet racist party comes in power. Fear will be the only feeling left to all regardless origins, faith, colour and believes. So let’s hope that the people of Sweden the country with long history in democracy, equality and multiculturalism will show the necessary political maturity and return the SD to its natural environment in the far corner of the democratic spectrum and safeguard their democracy.